Join us this fall to enjoy some fierce fun for serious results! Krav Maga Instructor Emily Webb and friends will help you build strength and confidence from the inside out. In this action packed 90 minute Krav Maga self defense seminar, you will use your minds, voices, and bodies to discover the tools within to handle situations from the uncomfortable to the unallowable. Negate common threats, take control and counter attack. Build awareness and confidence on the street and in your life. Express your true physical and mental power. Shoshana Hebshi , J. correspondent meets Darren Levine founder of the Krav Maga Association of America and Krav Maga Worldwide, at his gun seminar brought to the San Francisco area by Krav Maga SF and KMSF owner Barny Foland. May 28, 2015 /by Buko . 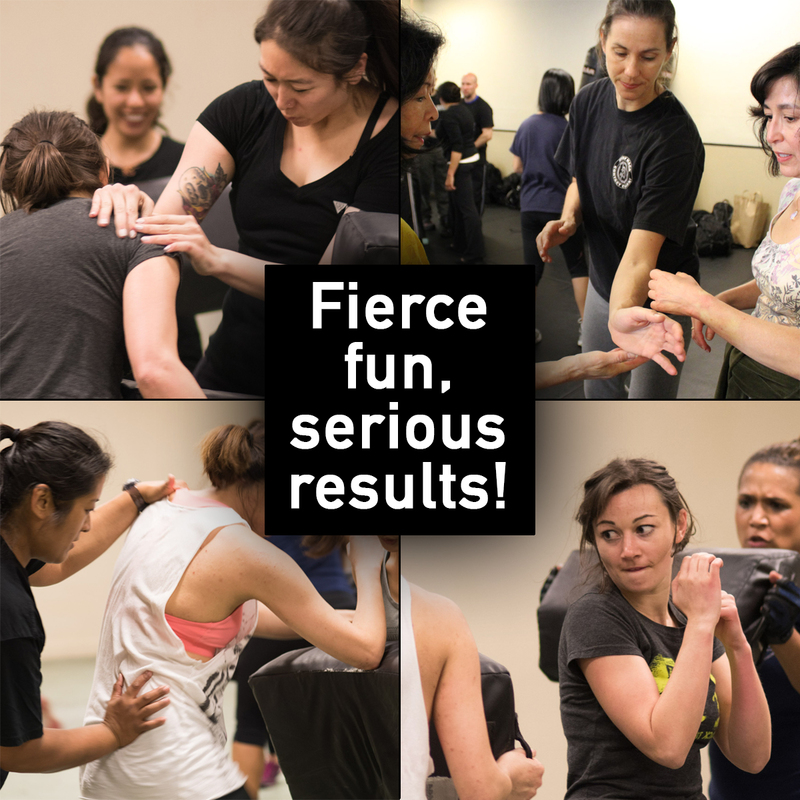 Erica Quandt visits Krav Maga SF and learns about the most effective self defense system in addition to the many other classes designed to get you in shape, keep you fit while having fun. May 4, 2015 /by Buko .